Borrowers who use Newfi Wholesale’s 95% CLTV Piggyback can obtain jumbo loan amounts with an even lower down payment — while still getting agency pricing. 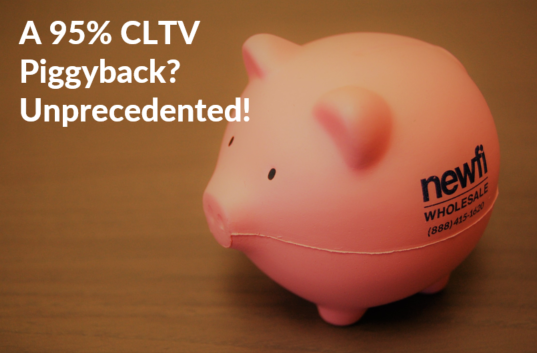 What’s exciting about the 95% CLTV Piggyback? Only 5% down payment required from borrower! Obtain agency pricing on your first mortgage! See our program guidelines and our flyer, or call the Newfi Wholesale team at 888-415-1620!